Wildlife control and removal technicians in Hamilton. Humane solutions to nuisance wildlife problems. Our technicians are effective in removing raccoons, squirrels, skunks, birds, pigeons and other small nuisance urban wildlife. At Animal Control Hamilton, we are always interested in preventing wildlife nuisance problems before they begin. Preventing an invasion is always the best course of action for Wildlife Removal Hamilton. Underground fencing, chimney caps, roof vent covers, and some other techniques can help prevent wildlife from entering your home or burrowing through your structures. This measure will ensure that you get rid of the capturing wildlife nuisance in the first place. At Animal Control, we prevent wildlife nuisance problems before they even begin. Our services include consultation, products, and services that will stop wildlife from entering your business premises or home property in Hamilton. In an age of human expansion, wildlife and human continuously get into conflict over space and natural resources. It gets worse in urban establishments. As a homeowner, you can do your part to help wild animals live and survive by removing all attraction opportunities where wildlife could seek opportunities with minimal resistance. For animals like the raccoons or squirrels, your attic offers warmer conditions during winter than any other place in the wild. Therefore, preventing animals from accessing your home is a major contribution to the safety and welfare of the animals that will otherwise seek an environment that will place them in conflict with humans. According to our experience with Wildlife Removal Hamilton, every conflict situation between humans and wildlife can be prevented. Whether its raccoons in your chimney, rats in your basement or squirrels in your fruit garden. There are steps that homeowners can take to prevent these conflicts. You could start off by cleaning the area around your compound, sealing trash cans, cutting overhanging branches close to your home, and sealing potential entry points into your attic. Majority of the money spent by homeowners every year on animal removal is a direct result of neglecting prevention actions that could easily keep wildlife away saving you a fortune. Call us today for more information about our pest prevention services in Hamilton. Most of the time, pest infestations are noticed by the homeowners as subtle symptoms of the problem. Some of the symptoms may be scratching, staining on the ceilings or walls or wildlife droppings around your property. The first thing we do at Animal control when we get a call from a homeowner of a possible infestation is to schedule an inspection. Our Inspections at Animal Control will reveal exactly what animal if any that could have invaded your property. During the inspection, our experts will crawl through your home or business attic and dig through your insulation looking for any signs of wildlife or pest infestation. Most of the time, the inspections are done from both the exterior and interior of the home. Once our professional Wildlife Removal Hamilton inspectors have completed crawling through your attic, they will also use ladders to check your roof for entry points that could have been used by the animals to get into your home. Half the time our clients call us for an inspection, they usually know what type of animal has invaded their home, but are not sure. Most of the time, raccoon in the attic inspections turn out to be mice and vice versa. For this particular reason, we always insist on inspecting to know how best to deal with a pest. It’s important to note that no two jobs are the same, and getting rid of mice is totally different from getting rid of raccoons. Inspections are a great way to find, remove and keep pests away from your home for good, with an inspection, a homeowner will not only be able to know what pests have invaded their homes, and how to get rid of them. They will also get to know the extent of the damage the pests have caused to their Hamilton home or property. Call us today for more information about our pest inspection services in Hamilton. Dependable raccoon removal options. Raccoons are removed by us from lofts, sheds, garages. Contact us today. 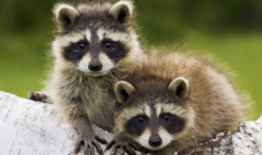 Raccoons can cause thousands of dollars of damage to an attic, roofing, insulation or other structures. They are most active at night. Raccoon “break-ins” are mostly done by mother raccoons in search for warm and dark places to raise their young. If raccoons are keeping you up at night, call us. We will send a technician to assess the situation at no cost. 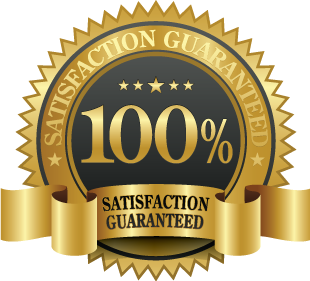 Our technicians remove squirrels and seal all entry points to make certain your premises will be entered by no squirrels again. 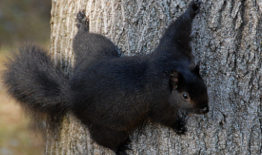 Squirrels in urban areas live longer than their wild counterparts. In most parts, they do not hibernate. They enter attics and soffits in search of shelter and to raise their young. They are active all year round and breed twice per year. If you are hearing noises emanating from your roof during the morning hours, chances are you are dealing with squirrels. Call us and we will inspect the situation and provide recommendations. Skunk trapping and removal solutions. Don’t risk getting sprayed. Call us and we will get the job done. Skunks are most active during the summer months. They frequently make their way in Hamilton backyards. Run-ins with skunks are quite common. Both for people and pets. They often burrow under decks, trees or other structures. 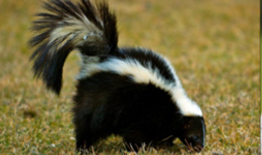 Aside from the foul smell they emit, they often cause problems in gardens. 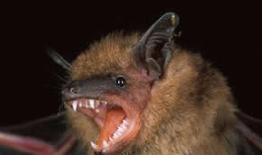 Our technicians can remove bats and offer exclusion services which are effective. Bats often roost in attics and roofs. The most common bat in the Hamilton area is the Little Brown Bat. They feed on insects and mosquitoes so they can be your pest control ally. However, they can create substantial colonies which can be of concern. Their feces can carry harmful pathogen and other contaminants. If you have spotted a bad problem, give us a call. We can visit the premises, take a look and provide recommendations on dealing with the problem. Effective solutions for birds such as pigeons. Humane and effective bird exclusion solutions. 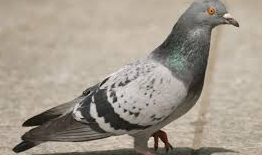 Pigeons are one of the most common problem bird. They can create contamination and problems for business and homeowners alike. Our solutions for bird control consist of making the affected areas inaccessible to these pest birds. We use spikes and consult on the removal or attractants.